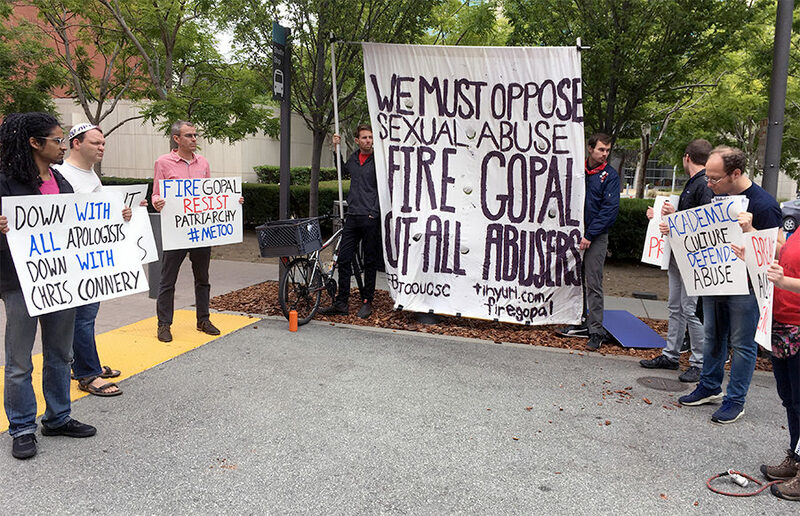 The eight protesters stayed for two hours and directed their anger toward the university’s Title IX office, which they repeatedly said involves a broken, inept process. They also criticized the UC system, saying administrators failed to deal properly with cases of sexual misconduct involving faculty. Negotiations between the two parties began February 28 at the UC Office of the President, or UCOP, statewide office in Berkeley.